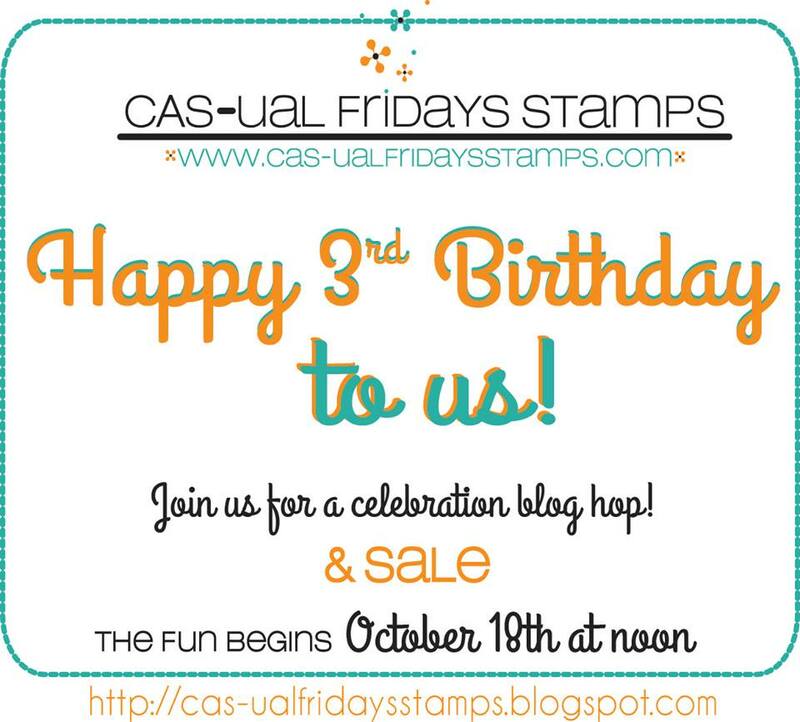 Mama Mo Stamps: Happy 3rd Birthday CAS-ual Fridays! Happy 3rd Birthday CAS-ual Fridays! 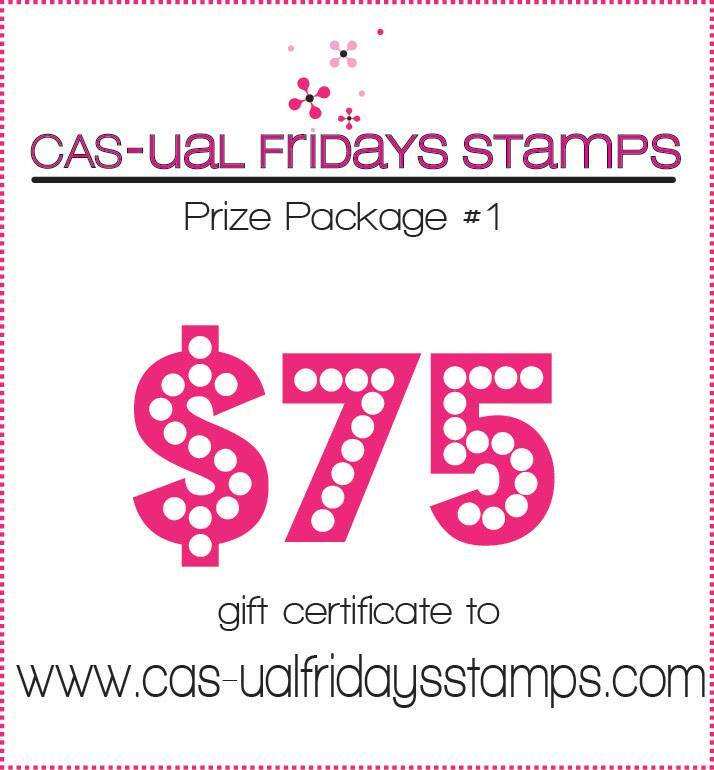 I've been a fan of CAS-ual Fridays Stamps since the beginning and I'm honored that I get to celebrate with them today! Today I am hopping along with the CASual Fridays team and some of their closest friends in celebration of their third birthday. You should have arrived from Kelly Griglione's blog. If not, head on over to the CAS-ual Fridays blog and start from the beginning! One thing that has always impressed me about CAS-ual Fridays stamps is that they fill in a huge gap in the stamping industry. 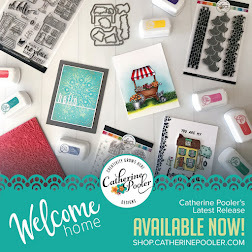 Michelle is the mom of two buys, just like me and she's created a line of stamps that are perfect to tween and teen boys! 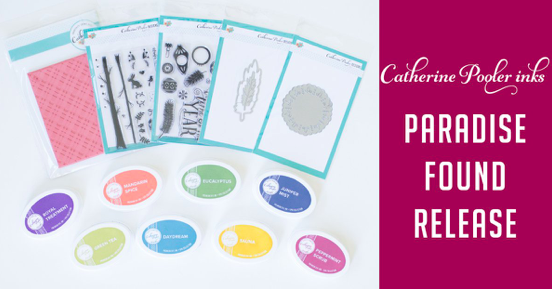 It's hard to find stamps for that age group, I'm so happy that Michelle designed stamps with that group in mind! After saying that you may be scratching your head because I didn't make a boy card. Instead I used these stamps to make a girly card, which I have never done. My youngest son is going to a birthday party tomorrow for a girl so I thought I'd try it out. Woot Woot works perfectly for girls too :) I had to be careful with the sentiment, Ethan said nothing too gushy, so "High 5" it was! I stamped the sentiment on the adorable Scallop Tag. Next on the hop is Julia. 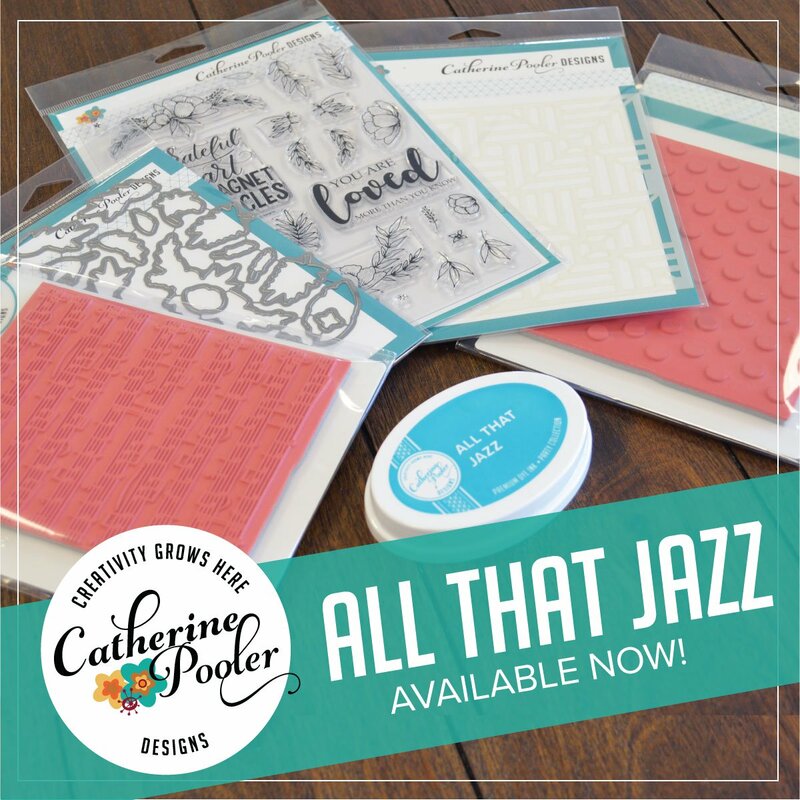 Head on over to her blog to see what kind of birthday goodness she's created for you! 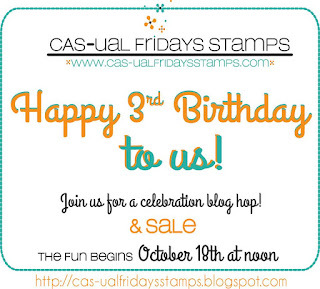 Thanks for stopping by and Happy 3rd Birthday CAS-ual Fridays!!! This is gorgeous! That colorful background is the bomb! Super cute card I love the background!! Love the bright colours and the sentiment! Awesome. I love it! So fun and fresh! Love this, and depending on colors used could be boy or girl... this is awesome. NOW I want this set. Cute card. I'm finding I'm enjoying graphic cards a lot more these days, especially circles and dots. Lovely! Love how that black contrasts with those bright colors. Perfect!! Cute card idea (I may steal it) and thanks for the hop. I'd love to win either one of those prizes! AWESOME background with the perfect non-mushy sentiment. Some birthday girl is going to be very happy. What a very special card for a child. so fun! I love that background. She will love it! So fun! Truly a celebration card. Love it. Great card, I love the colors. This is my favorite use of this set! How colorful and cheery! LOVE this one. simple but FUN card. A lovely bright refreshing card! That is so true! 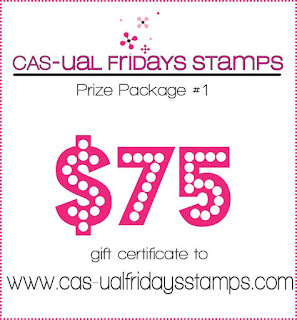 It's hard to find good stamps for tween to teen boys, but CAS*ual Fridays filled a gap in my collection too. I think it's great that you were able to use this stamp set to make a card for a guy to give a girl who is just a friend. Kind-of perfect, isn't it? Totally adorable!! Love the way you created the background!! Love the way thst sentiment pops! Michele totally rocks the teen boy stamps doesn't she?! LOVE your girl card, it's so darn festive with all those pretty colors. High five indeed!! Such a whimsical and colorful card. As everyone has pretty mentioned great color combos!! I like your background! And As a mother of boys, I like that your "girly" card isn't FULL of pink and flowers and glitter! A nice middle of the road card that proves it can still be awesome! Thanks! Such a fun card and happy colours! Good work! Gorgeous bright and cheerful colours. I love how colorful your card is. Such a bright & cheerful CAS card. I also noticed how versatile this card would be just by changing ink colors. I love that High 5 stamp. Love that colorful background and the scalloped tag. So fun, perfect card for any age. Love this bright fun card and the contrast of the black! Adorable card for a kid! 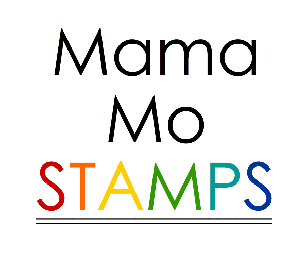 I love how you created the background by repeating the stamp in so many different colors. It looks great! Great stamping. I love the background. Well done. Great background. Love all the colors. A always your card is lovely! I absolutely love the colorful background! Very pretty! Love the rainbow background pattern and the tag is gorgeous!! Love this card! Would love to win a Misti. Love the playful colors, the patterns, and well, just everything1 Thanks for sharing. Love the nice blend of colors in your card! Very pretty! Love the background!! So unique!! Love it!! Love your rainbow coloured background. Makes the card fun! Cute and works well for a girl! Very versatile card. A good one to have on hand all the time. That is such a cute card! Loving it ! I can resist a card with rainbow colors! Love the abstract, colorful background! This is a perfect girl card for a boy to bring. Gorgeous. Beautiful! Such a bright and cheerful background! 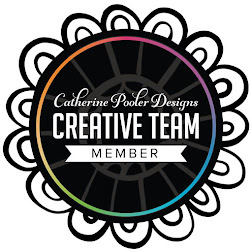 I love circles...so I love this wonderful, fun design! The circle background is great! Love the colors too. I agree boy stamps were always hard to find when my 4 boys were small. Since they are now all in their 20's I can get along with manly stamps. Love the circles background and it certainly isn't too mushy!! I'll have to keep an eye out now since our first and only Grandchild is a ... Boy!! love the use of the tag! Your background is awesome and I like the shape of that tag!!!! I love the High 5 sentiment. That is great. Love the sequins, too. 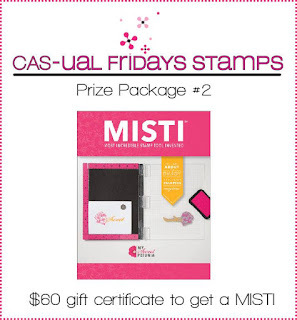 Would love a Misti, too. Love the background. So nice and colorful. Great card! Such a great company! Bright, colorful, & pretty. Just the right touch for a girl. I love everything with circles. Great card. What a fun & wonderfully colored card! Love! Love this colorful and playful card! Cute card. I like the tag. This card is so cute! Very colorful! Maureen, I just love your cards. They are so simple, but really special. Great. I love the high 5 tag with the fun background - kind of looks like a bunch of bubbles and who doesn't love bubbles! I was on the fence about this set, but after seeing this card, I am in love! I love the way the sentiment was done and as for the background it is fun. Too cute. Love the bright colors, love the sentiment and love how clean the whole look is! What a gorgeous Card! Love the bright colours and the bold sentiment! Love your card! The colorful background is AWESOME...perfect for celebrating 3rd birthday...yeah! Always looking for boy/ male stamps. This one sure fits the bill. Great card. The background colors are very cool. I love that little tag too! Love the background on this card. Fun without being too cutesy. Guy perfect! The black tag is such an eye-catching touch! Love your background and the black tag really makes the colors pop, and the seqins placement is an awesome detail too! Beautiful card. I agree with you about the masculine teen/tween category. Hard enough for simple masculine, but throw in the younger age and it's hard to find something appropriate, but your card definitely fits that bill, Maureen! Love the fun circle background! What a happy card! Lots of "pop"
Awesome card! I love the bright colors with the pop of black. That would be a great birthday card for anyone. I loved your background and sentiments so much I went to look at the Woot Woot set, and found that it was all there and more. Love that set. And the tag is one of the best looking I've seen in a long time. Good to know about the tween/teen boy stuff--I have three grandsons, oldest is 7, and I will be a frequent at Cas ual now. love this bright happy card! Love your card and the story. Making boys cards is such a challenge and I agree with you about the stamp lines. Happy 3rd Birthday! Oh my goodness Maureen, this is a sweet card! I love it! Loving the Fun Colors on this card!! Pink and sequins--any girl will be happy with that combo! The tag is a hoot--perfect for a card from a boy. What a fun card! And so easy to change up the colors to suit any occasion/gender. Fabulous! Such a fun and colorful background! Love the card! Happy 3rd birthday to Casual Fridays. Bright and fun card. Love the black tag to show sentiment. Terrific job. What a great card. Love the background. That's a great background and is great for any birthday. I really like that! That background is just adorable! I always love seeing your CAS cards! What a fun card for a birthday party! Love the colors. Love, love this card! A great 1 layered card (except for tag) and love the colors!! What a FUN card! Love all the colors on it and the tag is awesome! what a cool birthday card, I think this would be a great teenager card!!!!! Love the colorful background!! Very nice!! Great bright happy colours and the tag pops against the background so well! What a fun and festive birthday card! 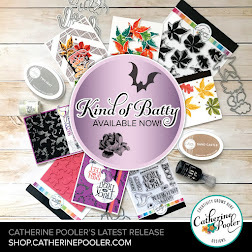 Love your background and that black tag with white embossing sentiment. great card, I agree, not enough stuff for boys so glad to see this! Such a fun card. I love the bright colors with that pop of black on the tag. Fabulous. This is definitely a FUN card! Love the rainbow background and black tag. I'm lovin' that white on black tag! Super cute card, Maureen. The background is so pretty. Love it! Can you say...amazing!! Absolutely love this! Love the colors and the diagonal background desig ! 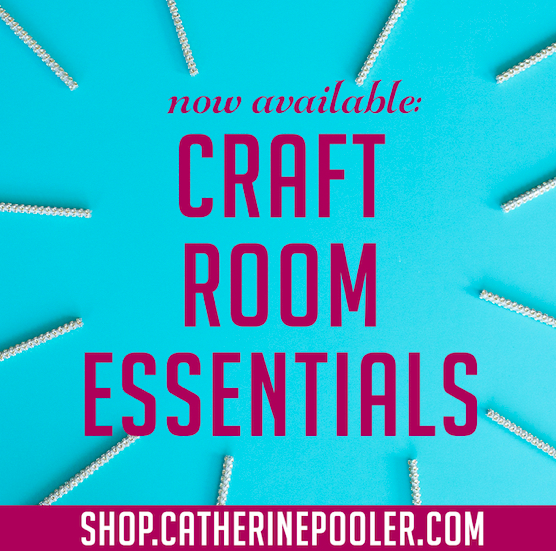 Cute little tag and a really fun card design! Fun colors and wonderful graphic background! Love this! Love all the bright colors in the background. 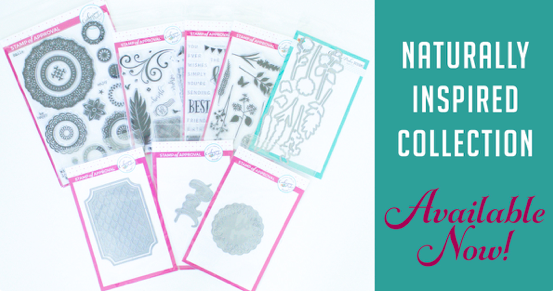 I never think to use tags on my cards...this gave me great ideas!! Thank you. I love the background! The colors and off set circles are wonderful! Love the stripes and the color choices! Good job Mom, high 5 is certainly not gushy! Fantastic card! Totally cool for a tween girl from a tween boy! What awesome stamps and i love the sentiment. Great card for a teen or tween! Clean and modern and fun! I like the colorful background and the non gushy sentiment. Love the background on this card and the color combo is so cheery! Always love a bright birthday card! Fun! LOVE the tag, LOVE the sentiment on it and LOVE the COOL inky background too!!! Your card is perfect. I can also so imagine this in masculine colors too. Thanks for sharing. 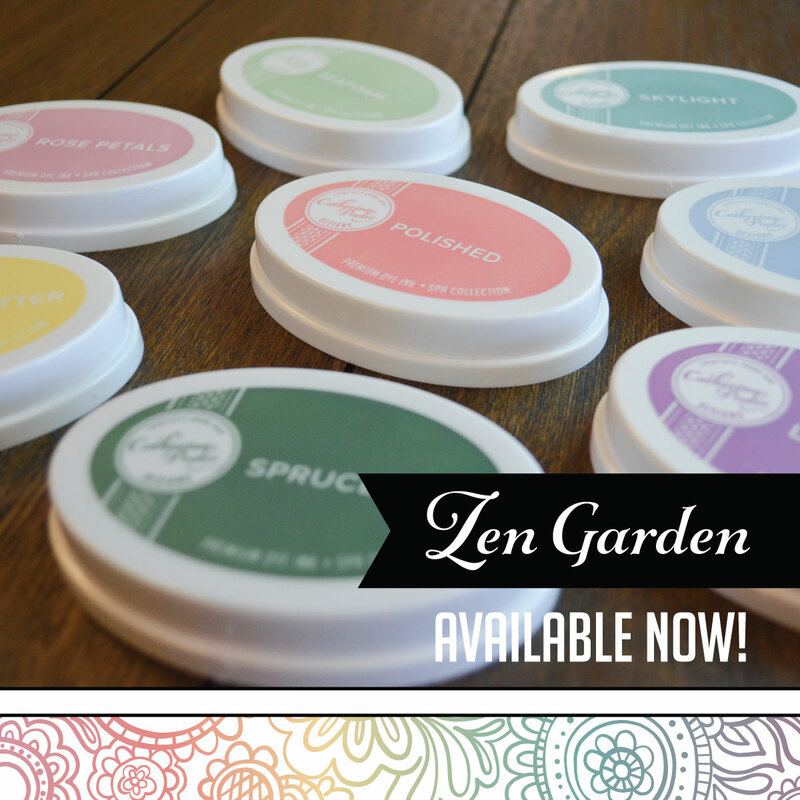 That background that you created with Circle Border stamp from the Woot Woot set is divine! I also love the color combination that you choose. Great work and awesome inspiration! Lots of color yet it's Clean and Simple. Love it. hugs . I love this card,it is so bright and cheerful.